About Product : If you feel like an outsider amidst innumerable colors of India, as the smell of fresh turmeric guides you through randomly arranged shops, while you encounter cows and temples at every turn of the street... if a sense of belonging doesn’t come calling... We bring you the prints of India on your own comfy T-shirt, these Gamthi printed T-shirts are sure to make you feel one with your surroundings. And if you are an Indian at heart and far away from home, you still have a reason to keep one..
“The story goes as back as the times in history when my father would walk me to the river side, where lengths of colorful patterns waved up and down, with the gushing flow of Sabarmati. Things changed however, open banks were replaced by concrete blocks, flowing river by inert marshes, printing floors by long tables confined within four walls of the factories, washing got restricted to the water tanks, chemicals replaced natural colorants, and now, wooden blocks are fighting against much faster screen printing…” Master craftsman Faruk F. Chhipa recalls the days when he used to learn from his father Fakruddin Chhipa, who started ablock-printing unit in Ahmedabad, in 1964, under the name of ‘Fakira prints’. Employing around seventy skilled block printers, the unit can easily claim to be one of the biggest amongst 8-10 units in the city. 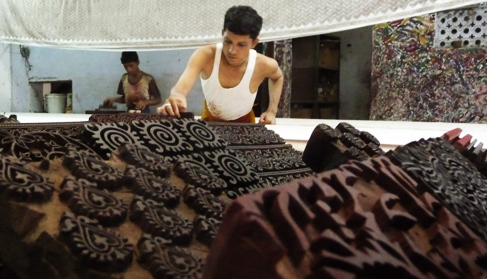 The practice of block printing is about two thousand years old. 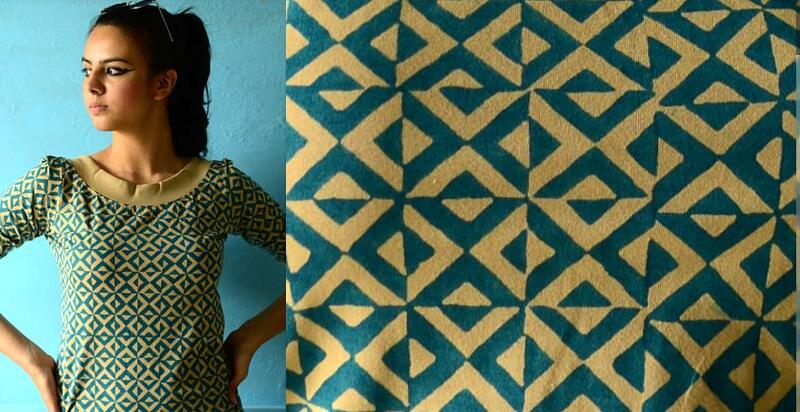 However, in India, printing and dyeing of cottons developed in Rajasthan, in the medieval age. 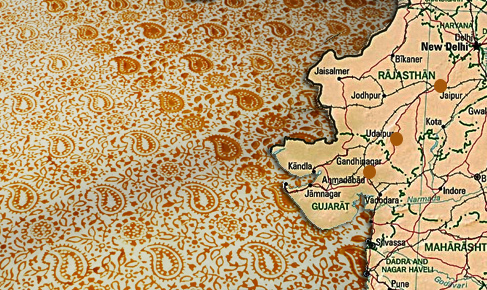 Gujarat became popular for the use of wooden blocks for printing. Tents were created from printed fabrics and became a necessary part of royal processions. The seasons largely influenced the integration of the highly creative processes of weaving, spinning, dyeing and printing. Surat in Gujarat became one of the prime trading centers. Hailing from the land of Maharajas, block-prints with their universally appealing degree of intricacy, competed their way to the weekly ‘haats’ and ‘melas’. Saudagars (the traders) from all over would come and sell their works to the landlords, Maharajas and their ladies. These very intricate and exuberant prints, typically made to adorn their turbans and chunris came to be known as Saudagari prints. 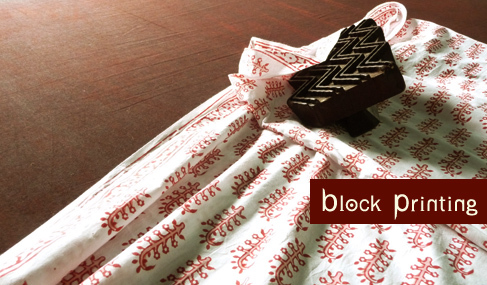 Although a rarity now, some Saudagari blocks, preserved by the traditional craftsmen can be seen in the museums today. However, with changing times and with the onset of cities, block prints got popular by their place of origin i.e the villages (gaam in hindi) of India, to be called as the ‘Gaamthi’ prints.…vibrant colors, contrasting prints, varied patterns being their characteristic features. 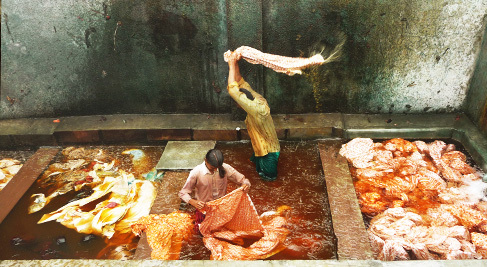 Originally, natural dyes were used, but today they have been replaced by chemical and artificial colors. The main colors used were, green from hinna, yellow the color of spring from turmeric, blue as in Krishna from indigo and black from rusting iron, near about 27 different colors could be achieved through plant parts and metals. 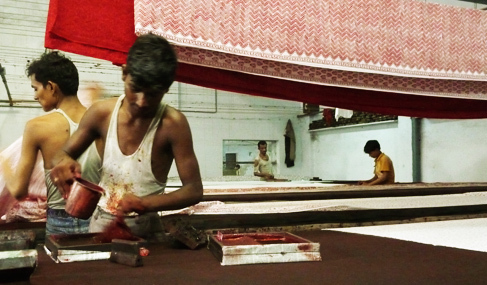 Judged by their level of perfection in detail, Pethapur has always been the centre for supremely intricate and accurate blocks, while the fabric is still traded from Bhimandi (Maharashtra) and Thirupur. Even though the motifs, the colors and the level of intricacy keeps changing with time and tastes of people, there are some unique blocks, which have retained their popularity over past 100 years. Made of seasoned teak wood, blocks are the main tools of the printer. 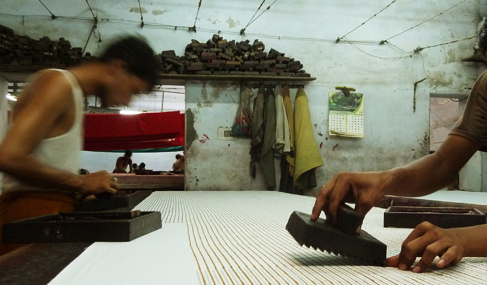 With designs etched on the underside and two to three cylindrical holes drilled vertically and horizontally across the body of the block, the block makers of Pethapur ensure free air passage and release of excess printing paste, making their blocks so special. To begin the process, grey fabric (off-white, starched) is bleached to get the white, which is then given any color of choice using chemical dye. 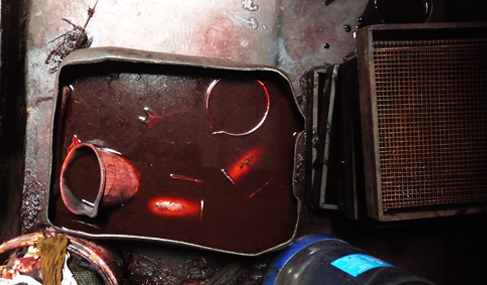 Printing on top with chemical colors is a tricky process, as it takes time for the colorants to react with the air, to give the actual color of the patterns. Complex patterns may need printing with 3-4 blocks, to achieve the final results. The fabric is then washed and sun dried. Screen printing has carved out a niche in these traditional block printing units due to increase in demand, decreasing number of admirers of the natural and completely hand made, low running cost, reliability of delivery in time. But the numerous combinations achievable by the same age old blocks, with some colors and a little playfulness in hand, still stands unparalleled….“Hand ka koi end nahi hai”, as quoted by the master craftsman. Note As each piece is hand printed and unique, expect some variation from shown design. “The story goes as back as the times in history when my father would walk me to t..